Malta is in dire need of a breath of fresh air, and the fact of the matter is that our sun-kissed islands are in serious need of medium- to long-term design plans that will brighten our future on a global level. Here I am referring to aesthetic quality delivered by professionals who follow local building regulations and approach projects with a forward-planning mentality. 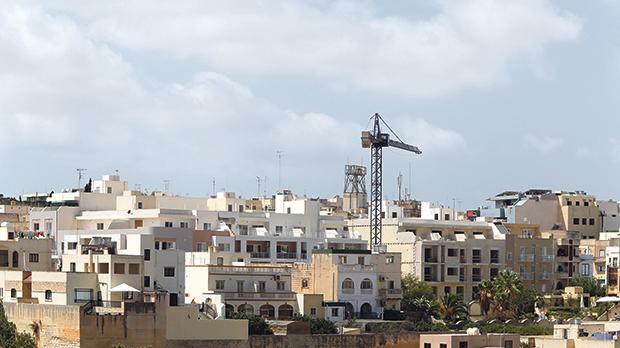 The Malta Developers Association proposes a breakaway from mismatched plans and underqualified developers to an industry of regularised professionals in the sector. As the president of the MDA, vision and growth to me are two important factors in every urban planning decision made. Understanding that a change needs to take place is the golden ticket to a restructured future, and with the concepts of vision and growth, strong at the forefront of the MDA’s mind, forward-planning ideas need to be proposed by policymakers. We need a solution. We have a solution. daily basis is how to present and put into practice tangible ideas without crushing Malta’s economy. Our mission is clear: we strive to respect our Code of Ethics, which most of our members already follow, except for the unprofessional few who are still working in an unsatisfactory fashion. We firmly believe that a self-regulated mentality is more effective than enforcement. It’s not in the country’s interest to stop commercial and residential construction, but rather to question how development takes place. Developers on the islands unfortunately face a lot of criticism. However, in many cases developers face numerous hurdles throughout the process of completing a project. For instance, acquiring the land is a very challenging start, especially when property owners who inherited land do not unanimously agree on their demands, while at the same time do not wish to expose themselves for their own gain. In many cases, neither do property owners want to risk applying for the necessary permits themselves, as this requires a lot of time and investment. Being involved in development, which is ultimately changing the face of our country and affecting the people’s quality of life, demands several responsibilities from all key players alike and cannot be treated as ‘free for all’ with everyone acting individually. A sense of community needs to be adopted and encouraged. The scope of the association is to bring together the activities of all stakeholders, such as those who work professionally together and improve their operations in this important sector. We have so much potential on our beautiful island – where a thriving economy, a vibrant cultural scene and close familiarity with locals including politicians, make for a strong sense of community. In order to conserve and protect our towns and villages, we need to stop our past planning approach dead in its tracks and ensure that all future projects are seen through with vision and growth. The pro-business approach adopted by the MDA provides solutions that are in favour of the public and investors themselves. Our re-evaluation of standards will be based on salvaging what remains and stabilising what’s already been done. We need to instil pride into our public once more and that may require a change in mentality. Let’s take the Smoking in Public Places Regulation as a comparison. Public debate dominated air time in the build-up to introducing the ban. A large number of the population was not in favour, a large number couldn’t identify the problem in itself. But as time went by, people’s mentality changed; it may have taken some getting used to but there’s no chance you’ll catch anyone smoking in a restaurant now, for example. The same goes for updating developmental issues. Economic growth and development obviously involve changes in the physical face of our island. Our localities everywhere cannot be preserved intact. For instance, already committed touristic and commercial areas may be developed in one part, but villages and rural areas may extend their character, which is not a bad thing if this kind of exploitation has been planned and the effects on infrastructure, services and community needs are taken into account. This also happens in nature – a forest may be washed out by nature in one part of a watershed and extended elsewhere. This is an ever-changing factor in our day and age. In general, development in certain areas need not be exhausted since they are being compensated by regeneration in other villages. But the principles regulating this approach as well as all the development regulations have to be interlinked into one policy framework. developmental boom, we’re just in time to regenerate the country and protect rural areas and seaside villages worth saving such as Rabat, Żebbuġ, Marsaxlokk, Għaxaq, Mqabba, Żurrieq, Qrendi, Safi, Dingli, Gozo and others. The last thing we can allow is for these localities to develop simply for touristic and entertainment reasons as did happen in the Buġibba-Qawra area in recent years. Meanwhile, when property owners are bequeathed or purchase a building of historical worth, or buildings worth preserving, they are met with impending expenses and enforced maintenance expectations. These properties will result in more of a burden on the owners to restore and maintain who may either leave the property to deteriorate or decide it is more viable to sell the property away for redeveloping in hopes of a well-deserved rate of return, at the expense of losing the prestige the property once contributed to the specific area. In other words, property owners have to be motivated to preserve streetscapes, and not be discriminated upon by being forced to keep a property untouched at their own expense to preserve its worth, even in the circumstance when local plans and policies allow additional floors. Such properties or the discovery of historical features within a property will, in this way, be perceived more as a punishment rather than a goldmine for the owners. The search for common interest would be less difficult if all development and environment problems had solutions that would benefit the majority. This is seldom the case, and there are usually winners and losers. The idea of creating a fair approach brings about an innovative idea for forward planning – that of being able to transfer the potential unused gross floor area. Currently, there’s no compensation offered to the parties at loss, creating inequalities in access to property which is a main resource in the country. On the other hand, multi-storey development is being allowed in certain touristic and commercial areas just because it is perceived that the locality allows it, without seeing to compensate such a construction weight by rural enhancement elsewhere. This unfair consumer practice may thus be restored by having any lost land or air space in one area being reassigned with an equivalent amount of property in other localities on the islands. In other words, this idea entails giving a monetary value to the unused potential gross floor area in villages and being able to sell it to other owners seeking airspace to build properties in highly developed areas or touristic areas earmarked for development. This idea of perceiving airspace not just as potential development but also as a currency, avoids any manifestation of unequal access to resources. This is a way for how developers and individuals in the real world are to be motivated and persuaded to act in the common interest. This way the owners of properties within streetscapes worth containing do not perceive planning policies as a burden but as a potential investment. It is not that there is one set of villains and another of victims. All would be better off if the regulatory system is structured in a way to get property owners to allocate the development where it fits best for the community. It is unjust to assume that investors will behave in a socially desirable fashion on their own will and at their own expense; on the contrary, patterns indicate that in the absence of motivation, individuals will just continue to pursue narrow self-interest. It is only through forward planning that the government can compensate for this isolation. Sandro Chetcuti is president of the Malta Developers Association.